Nizuc is a small stretch of sand located south of the Cancun Hotel Zone, near the airport. Is an excellent spot, ideal for taking kitesurf lessons. The huge reef located at the external part of the bay keeps the water always flat and with very little chop. At this spot you can kite with no risks, in shallow, calm waters. 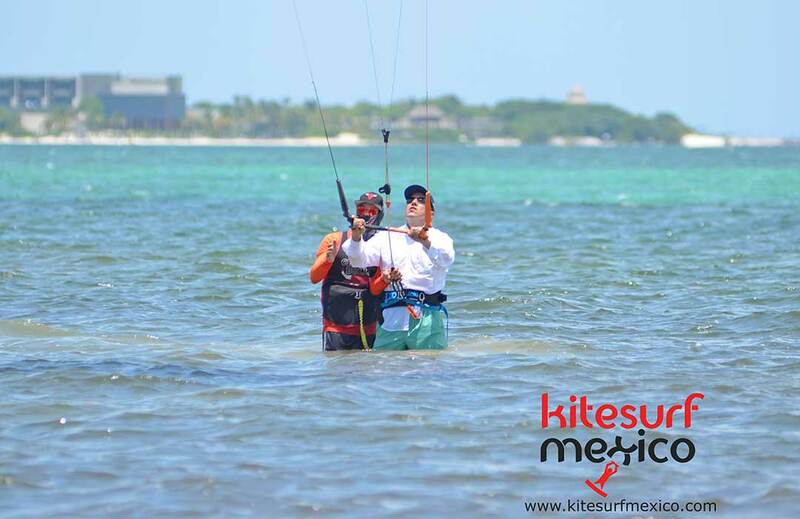 Nizuc is one of the best spots for kiteboarding in Mexico due to the excellent combination of those factors. There are restrooms and external showers for visitors coming to the beach. The beach is open formally from 9am to 5pm for beach goers. There is also a parking lot right in front of the beach. 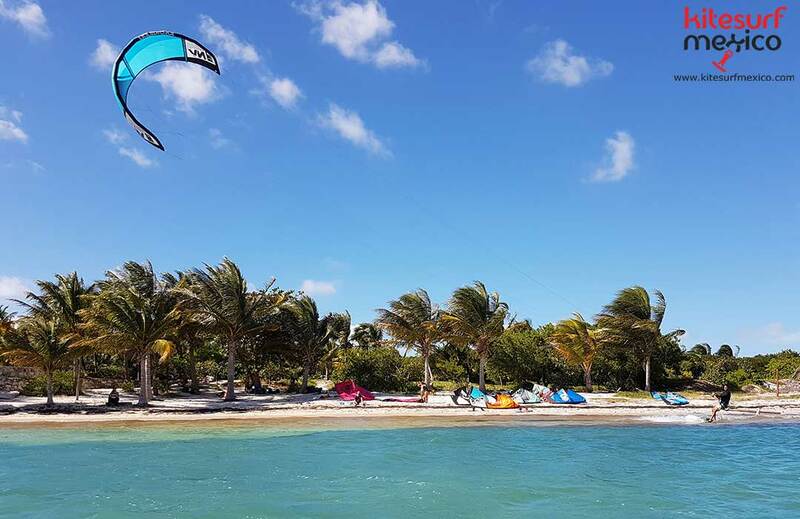 The best winds for kiteboarding in Nizuc are S-SE-E, but the best conditions happen with E-SE since East wind comes directly on shore. Because there are big hotels on the north-east side, wind from this direction comes in too choppy and it’s better to move to another spot like Isla Blanca on days like that. The wind season for this spot is from November to June. Contact us if you are interested in Kiteboarding Lessons in Punta Nizuc, rent kite equipment, kite trips and tours. From Cancun airport heading to the Hotel Zone, go past the Ventura Park. 300 mts on the right, there is a parking lot. Park there and walk down to the beach. On windy days you can see the kites from the road. Coming from the Hotel Zone, also go past the Ventura Park and the roundabout, and you will find the spot on your right.